Am I the only one who doesn’t have their veggie garden in yet? I feel like we have a million projects on the go and none of them are anywhere near complete. Total time hogs. So many more, I just can’t bare to think about them. With all of there things to work on, I STILL have not got my veggie garden in. This is a major stress factor for me since the longer I wait, the longer it is until I have fresh veggies. 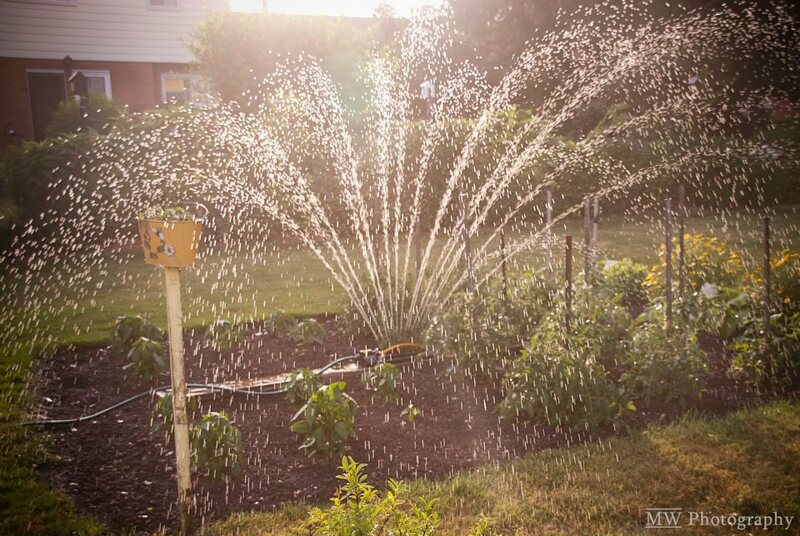 When I look at the picture below, I just get this warm, tingly feeling (this is right after I planted my garden last year). I am hoping this will be the weekend I can exchange my painting pants for my gardening pants, even if it is only for an hour to get the plants in the ground.